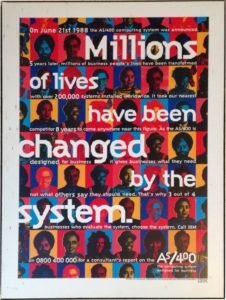 On June 21st 1988, IBM launched the AS/400. This was replaced in 2001 by the iSeries which, in turn, was followed by the IBM i on Power. For 30 years, IBM have managed to deliver a robust platform that delivers exceptional security and a business resilience that you can rely on. Over the years, the architecture has changed; the range of available languages has grown; the available languages have been enhanced and modernised and the uses to which the platform can be put has expanded and continues to do so. And all of this without ever breaking a business critical application. The System: The i on Power and its predecessors have delivered — and continue to deliver — an IT environment on which you can rely.